Alibaug is a coastal town and municipal council in Raigarh district of Maharashtra, India. It is the headquarters of the Raigarh district. Raigarh's first name was "Kulaba". It was developed in the 17th century by Sarkhel Kanhoji Aangre the naval chief of King Shivaji's Kingdom. Revdanda, Chaul, Nagaon, Akshi, Varsoli, Thal, Navgaon, Kihim and Aawas villages were known as "Ashtagare". A naval battle was fought at Varsoli between Kanhoji Aangre and Siddi of Janjira in 1706. In 1722 English and Portuguese jointly attacked on Kulaba fort, and they lost this war. At Chaul there was a battle between the English and Sakhoji in 1730. Sakhoji won and brought down the losing party along with their captain at Kulaba. Kanhoji even issued his own currency in the form of a silver coin called the Alibagi rupaiya. Alibaug and its surrounding villages are the historic hinterland of Bene Israeli Jews. There is a synagogue in the "Israel Ali" (Marathi इस्राएल आळी meaning Israel lane) area of the town. Alibaug houses a magnetic observatory which was set up in 1904. It serves as one of the significant observatories forming part of a global network now run by Indian Institute of Geomagnetism. The observatory has two buildings; the first building has magnetometers that record changes occurring in the geomagnetic fields. The second building consists of precision recording instruments, which give data about geomagnetic storms caused by solar storms which is shared with other countries. It is from years that the Alibaug Region and Raigarh district is headed and ruled by the Bhartiya Shetkari Kamgar Paksha (Peasants and Workers Party of India). Alibag is located about 120 km south of Mumbai, at 18°38′29″N 72°52′20″E. The average elevation is 0 metres (0 feet).The District Government offices are located along the sea coast road. Alibag is the center place of Raigad District. After the British took over the old Colaba and this region, they established four Anglo–vernacular medium schools and 30 government schools in 1865–66. In 1861 the first school for girls was started in Alibag. The Mission Church started the first English school in Alibag in 1879. The former Topiwala Industrial High School was renamed General Arunkumar Vaidya High School after General Arunkumar Vaidya who studied there. Other notable schools include R.C.F School and junior College, Indian education school, varsoli, St. Mary's Convent School, Chandrakant Hari Keluskar Homeopathic Medical College and J. R. H. Kanyashala Alibag. J.S.M College Alibag is the first Jr. & Sr. college in Raigad District Adv. Datta Patil College of Law, Alibag is the first law college in Raigad District. The other notable school is in the village Khandale which is run by Konkan Education Society. Taking over all the institutes Prabhakar Patil Education Society (PNP education Society) has turned out to become one of the most well-known institute of Raigad District having established and registered in 2001 by the inspiration of late Prabhakar Narayan Patil ("Bhaoo"), a great social worker in Raigad. His work in the field of education and politics was invaluable. Today the society runs 27 institutes: five primary English and Marathi schools; 27 secondary Marathi schools; one Arts, Science & Commerce Jr. and Sr. College; one English and Marathi medium D.Ed. college; one B.Ed. college; one polytechnic institute; and one MMS college. This society was established to provide quality education to the people of Raigad District. Hence it started with establishing free high schools in the most under developed areas of the District. This provided a great impetus for students. Now they could get quality education at their doorstep. All teachers who work for the society are highly qualified. After school the PNP education society has broaden its prospect by focusing on higher and higher technical education. PNP also has a good college. Tourism is the mainstay of the town's economy. Since the late 1990s the town and municipality have seen development of industrial sites. Rashtriya Chemicals & Fertilizers (RCF) was the first industrial unit set up near Alibag at Thal. Other companies include JSW Steel at Dolvi (formerly Ispat industries Ltd of Mittal Group), JSW Steel at Salav (formerly Welspun Maxsteel Ltd of Welspun Group), Gas Authority Of India Limited at Usar (GAIL), HP LPG and Reliance Petrochemicals (RPCL) are near the town. Marine Frontiers Boatyard is located at Dharamtar, Alibag which is just 20 minutes by boat from the iconic Gateway of India and just 90 km by road. Alibag is an idyllic town on the western coast of India. 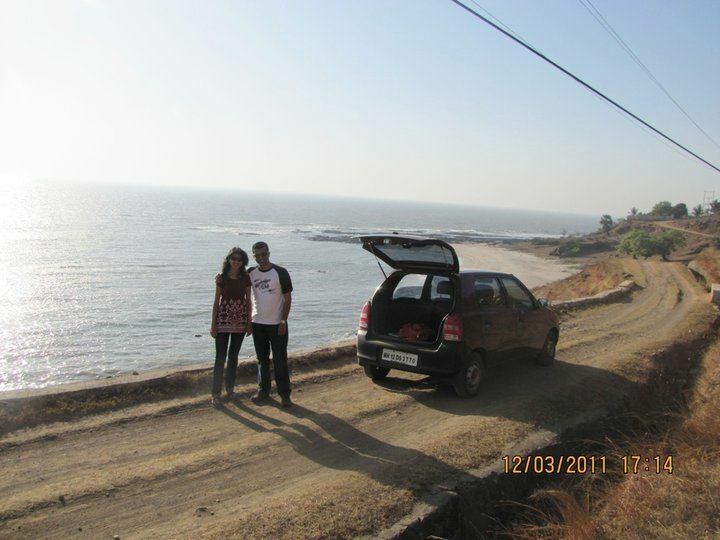 One can reach Alibag via Pen (30 km), which is on the Mumbai (78 km) – Goa road. From Mumbai, one can reach Alibag by traveling on the Mumbai-Goa highway (NH-17) till Wadkhal (or Vadkhal) and taking the right fork from Wadkhal – the left fork being the road to Goa. It is approximately 108 km from Mumbai. The nearest rail railway station is at Pen. Through Pen, it is connected to Panvel and onwards to Mumbai and the Indian Railways network. The nearest jetty is Mandwa From where catamaran/ferry services are available to Mumbai. Another port in the vicinity is Rewas, from where a ferry service is available to Ferry Wharf (Bhau cha Dhakka) (Dockyard Road). There is a jetty at Custom Bandar from where fishermen in Alibag set sail. One can reach Alibag by catamaran through Gateway of India to Mandwa or from Bhaucha Dhakka to Rewas and from Mandwa/Rewas to Alibag by bus. Ticket includes journey from Gateway to Mandwa and bus journey from Mandwa to Alibag bus stop. From Rewas to Alibag one needs to take State Transport bus or a rickshaw. Take the ferry from Gateway to Mandwa. Services are usually available from 6:00am till 6:00pm. The trip takes 40 to 55 minutes depending on the type of boat. From Mandwa operators carry passengers to Alibag in their own chartered buses. The bus journey time is 45 minutes. Alibag beach is walking distance from the bus-stop. Another option is to take a ferry from "Bhaucha Dhakka" to Rewas. Timings are the same but schedule may change depending on the tide. From Rewas take state transport bus or rickshaw to Alibag. Bus Journey time: 1 hour to reach Alibag. One benefit of using the Bhaucha Dhakka - Rewas route by ferry is that you can take a two-wheeler along on the ferry on this route for a nominal charge. You can go to Alibag by S.T. bus from Mumbai. From Mumbai to Alibag having daily 35–40 S.T. buses. Borivali, Thane, Kalyan, Pune, Kolhapur, Miraj, Nashik have buses to Alibag. Speedboats from the Gateway of India to Mandwa Jetty take roughly 20–25 minutes depending on the weather and can be hired at the Gateway of India at Jetty No. 5 which is opposite the Taj Mahal Hotel. The new jetty installed in 2014 at Mandwa ensures safety of guests traveling by speedboat. The nearest airport is [Chhatrapati Shivaji International Airport|Mumbai]], 140 km. As of 2001 India census, Alibag had a population of 19,491. Males constitute 52% of the population and females 48%. Alibag has an average literacy rate of 79%, higher than the national average of 59.5%; with 54% of the males and 46% of females literate. 11% of the population is under 6 years of age. The Alibag Municipal Council has population of 20,743 of which 10,646 are males while 10,097 are females as per report released by Census India 2011. Population of Children with age of 0-6 is 1833 which is 8.84 % of total population of Alibag. Famous celebrities who are born in Alibag are Sarkhel Kanhojio Angre, V.P. Karmarkar, Achyut Patil(Achyut Buwa,Folk Artist-Actor),1964 Padmshree award winner sculpturer Saswane, General Arun Shridhar Vaidya who led Operation Blue Star, Maharashtra Bushan-Nanasaheb Dharmadhikari (Jesth Nirupankar-Revadanda), Padma Vibhushan, Magsaysay & Templeton Award Winner Pandurang Shastri Aathavale-Dadaji (Swadhya Parivar-Roha), actor Nana Patekar - Murud, child singer Mugdha Vaishampayan, Juilee Bhandre-Mumbai Monorail captain, actress Ashwini Bhave, novelist Arun Tamhankar, Actor Devdatta Nage. Alibag is the weekend home for rich and famous like film actor Shah Rukh Khan, Cricketer Sachin Tendulkar, Ravi Shastri, Sunil Gavaskar, Businessmen Ratan Tata, Godrej, Ashok Mittal, Singhaniya of Raymond etc. who have sea-facing bungalows in and around the town. Alibag beach: This is the main beach. A very flat stretch makes for a long walk. It is reasonably clean and has thin crowds during the week. The sand has a hard texture and is a shade of black. It is not easy to create sand castles. The tide rolls in from all sides: You may have to wade through water on the way back. Siddheshwar Mandir near Khandale: This is a famous Shiva temple near picturesque hills near village Khandale just 4 km from Alibag-Pen state highway. You can drive your vehicles near to hillocks and with small trek you can reach this beautiful temple. During Shrawan month, hundreds of people throng to worship here during Shrawani Somwars. If you travel further you can see the remains of ancient fort called " Sagargad". Khanderi and Underi Islands : A few kilometers from the Kihim Beach one can visit Khanderi and Underi islands. They are heavily fortified and built by Shivaji as sea observation posts in 1660 CE to keep a check on the Siddis at Murud-Janjira fort. Later on it lost its importance. Most of the fort is intact. The most prominent structure is a lighthouse built in 1837 which is still in service and used for sea navigation. Magen Avot Synagogue: There was once a large Jewish community in Alibag; most of them were oil pressers and sellers. Bet El Synagogue is the only one in Alibag. Viceroy Lord Curzon (1899-1905) visited this synagogue. This place had been place of worship for the Jewish community; it was where community centre, Konkan development programmes and village meetings were held. The synagogue is a heritage property with a unique style and is a well-known Indian Jewish and Konkan tourist point. Varsoli Beach: About a mile from the main beach, it is home to a large naval base. It is on the outskirts of Alibag. 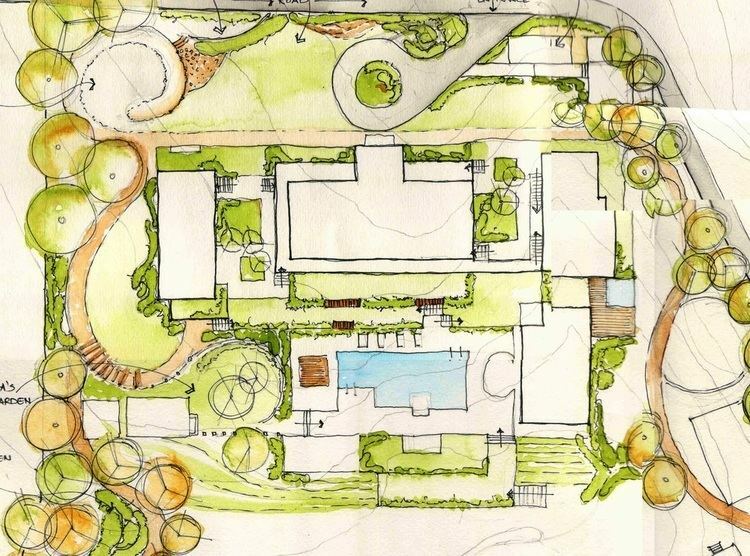 It is relatively less-visited site. It is a quiet beach with sparkling white sand and cleaner seawater. Varsoli is a small satellite village across Alibag, complete with thick vegetation of coconut and casuarina. Akshi Beach: 6 km from Alibag, the beach is a favourite spot for advertising, TV serial and film shoots. This beach is well-suited for children and waders as the sea is flat for a long distance. One can walk through to a considerable distance toward the sea. Nagaon Beach: This black-sand beach is about 10 km from Alibag and is famous for coconuts and betel nuts. One can walk on the beach from Nagaon beach to Akshi beach in ten minutes. It is more popular for its water sports and most of the tourists coming to Alibag stay near Nagaon beach. It is the cleanest beach among Varsoli beach and Kashid beach too. Below is the image of the Nagaon beach. Kihim-Navgaon Beach: Kihim is a secluded place at a distance of approximately 10 km from Alibag. The Kihim beach is famous for dense cover of coconut trees. Another occupation of their people is agriculture for woods that are home to rare butterflies, birds and flowers. Awas: It is situated about 16 km from Alibag. Saswane: It is about 18 km from Alibag. Rewas: It is about 25km from Alibag. From Rewas, there is a ferry boat service to Mumbai (bhaucha Dhakka) and to Uran (Karanja). Chaul Revdanda: It is situated about 17 km from Alibag. The long sea cost called "REVDANDA BEACH" is tourist attraction place. It is famous weekend tourist spot. Kanakeshwar Mandir: It is about 17 km from Alibag to Karlekhind – Chondi road, 13 km from Alibag to the northeast. This very famous Shiv temple on a 900 ft. high hill. It is a 5000-foot climb on well-paved stairs, which takes around one hour. Landmarks along the route are tombs of MohanGiri and Balgiri, Nagoba Rest, Jambhali Plateau, God's stair, Gaymandi etc. The scenic temple premises comprises small temples of Sri Paleshwar, Sri Hanuman, Sri Balram Krishna and Lord Shiv. The special attraction is an ancient sweet water tank enclosed in traditional structure of black stone. The ancient temple was built by Raja Ramdeorai yadav. The height of the Shiv temple is 54 ft. The front gate has lion sculpture on both sides with traditional lamp-pillar (deepmaal) in front. The 4-foot 'pindi' of Lord Shiv is silver-plated. The premises also include Nagaar-khana, Bheem Kunda, a garden for flowers to be offered to the Lord, Sri Ram Ganesh temple and Gomukha. Every year, there is a fair on Kartik Poornima in Hindu calendar. On this hill, a variety of herbs are found. Mandawa: It is situated about 17 km north of Alibag. The catamaran/ferry services are available from Mumbai to the Mandawa jetty. Many Bollywood celebrities own bungalows here. Kashid Beach: It is 49km from Alibag, on the Alibag-Murud highway, also this beach is possibly one of the cleanest and most beautiful beaches in the region with almost 'white' sand. There are many cottages and resorts available ranging from around INR 1500 to INR 20,000. Prakruti resort is the luxury and the costliest of all. This village does not have any wine shops. One has to go around 6 km towards Murud to buy alcohol. Kashid is the perfect place to relax for urban people. One can find water sports facility and number of small shops for snacks. There is a danger board warning people of dangerous tides. Korlai Beach: A quiet serene beach with alternate white and black sands, along a serene stretch of the Arabian coastline, adjacent to a village of Korlai Creole Portuguese-speaking Indians. Just across the bridge, to the right there is Korlai fort within the sea and attached to the mainland by a narrow land strip through the Korlai fort through the Korlai Village. It is supposed to have been built by the Portuguese in 1521. The main gate has an inscription which means 'no entry without a fight'. The fort has seven gates, a sweet water well, a church in disuse, a Hindu temple and a lighthouse which is still used for navigation. 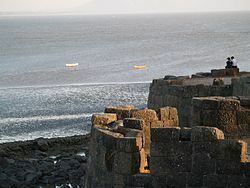 Kolaba (or Kulaba) fort (not to be confused with Colaba in Mumbai) is in the sea 1–2 km from the Alibag shores. During low tide one can walk to the fort. This was built by Chatrapati Shivaji Maharaj and is assumed to be the last one that he built before his death. The fort used to have a sweet water well. Kanakeshwar temple is on a hill near Mapgaon village, about 12 km from Alibag and falls on the way to Mandawa. Chaul is a historic town about 15 km from Alibag. It is famous for its Portuguese ruins, an old church, a synagogue, Buddhist caves, the Hamam Khana and a temple. More than 365 old temples are present in Chaul Town. The famous fair at Chaul-Bhovale is celebrated in December month it starts from "Datta Jayanti" and lasts for 5 to 7 days. The peoples from various places comes for this fair. Shitaladevi Temple , Chaul is about 18 kmfrom Alibag. It is historic and famous temple in chaul. Vikram Vinayak Temple or Birla Temple, Salav is situated about 20 km away from Alibag. Karmarkar Museum: A museum of exquisite sculptures from the renowned sculptor Padmashri V.P. Karmarkar in Sasavne, about 18 km from Alibag Bus Depot. 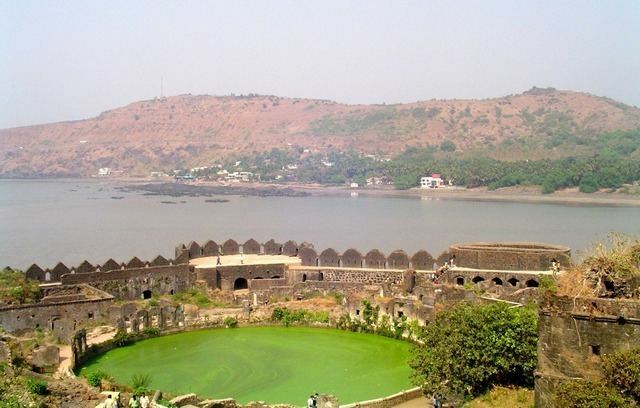 Murud-Janjira: Janjira is a fort situated not very far from Alibag. It was built by Siddi traders. Shivaji failed to capture the fort from the Siddis. One can find fresh water pounds inside the fort even today. Datta Mandir: situated at bhowale,2 km away from chaul. Datta Tekdi (Veshvi): A Datta Mandir situated on a small hill near Veshvi. It is about 6-7 km from Alibag. Hingulja Mandir: Situated near datta mandir, historic temple built by pandwas. Magnetic Observatory: Established in 1904 by the Indian Institute of Geomagnetism. Although after 26/11, the security has been tightened and access to the Observatory has been restricted. A written permission from the Panvel office of Indian Institute of Geomagnetism needs to be presented when entering the premises of the Observatory in Alibag. Korlai Fort and Korlai Creole Portuguese of Korlai village: Situated between Chaul and Kashid, a village of Indians born of Indo-Portuguese ancestors, speaking a unique creole of Portuguese and a fort lost in the sands of history. Hirakot Lake: Nearly 500 metres from the Magnetic Observatory. Bhuvaneshwar Temple: It is situated at Narangi Village,20 K.m.far from Alibaug.it is very famous and historical temple.Every year, there is a fair on Mahashivratri in Hindu calendar. On this hill, a variety of herbs are found.15 Village are taking Care of management.They have established in management committee.